The PlayStation Vita version of Teslagrad has arrived on the US PS Store! Now you can finally play Teslagrad on the go! It’s Crossbuy-enabled, which means that anyone who owns the PS3 or PS4 version gets the Vita version free of charge! This entry was posted in News, PlayStation Vita, teslagrad by Ole Ivar Rudi. Bookmark the permalink. 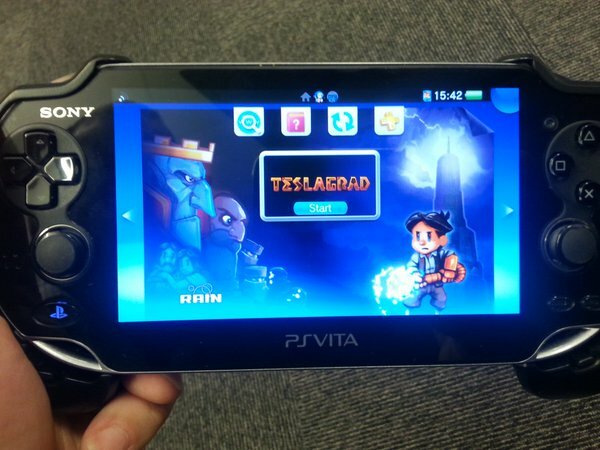 Will there be a physical version of Teslagrad for the PlayStation Vita? Hi there! The PS Vita version got glitched trophy: the kings vengance. It’s is impossible to Move metal scrap because it allways disapear in half a way to the button. Please fix that. Thanks! @Jin That particular puzzle seems to have multiple solutions. The trophy is still attainable.